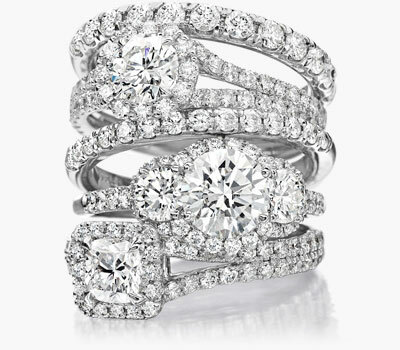 One of our Signature collections, The Lisette design is a modern interpretation of diamond solitaire rings. Our design team first selects fine quality center diamonds, and through an intricate art of micro-bead setting, surrounds them with smaller brilliant diamonds. Crafted in platinum or 18k gold, this exquisite design showcases your diamond with panache and style. Available in a variety of center-stone shapes and sizes.